Google can never stop giving us nightmares and with frequent Also changes and thunder updates, the thoughts and focus of an Internet Marketer has settled more into protecting the site rather than making attempts to push it even higher up and if you are one amongst them, afraid of making further proceedings then we are absolute sorry to claim that this time you are wrong as the show must go on. 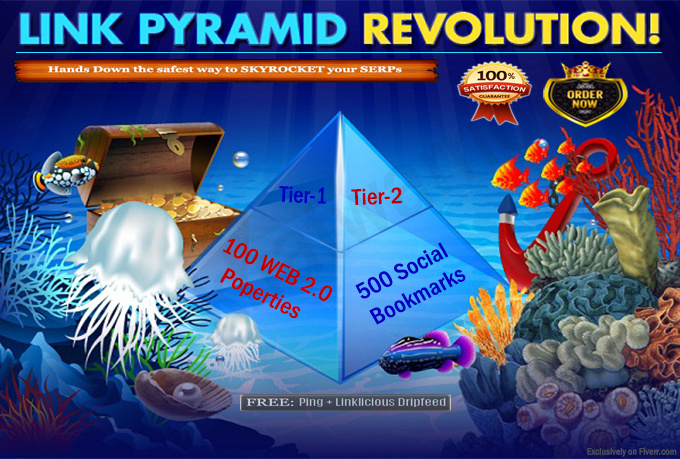 Link Pyramid Revolution creates tons of link juice and funnels them through two tiers of quality unique content. All this while keeping your site 100% safe from any penalty and protecting your site from any new updates Google brings upon us. Checkout the extras listed below which make this gig more powerful.